it also provides you with 12 great afghan patterns! 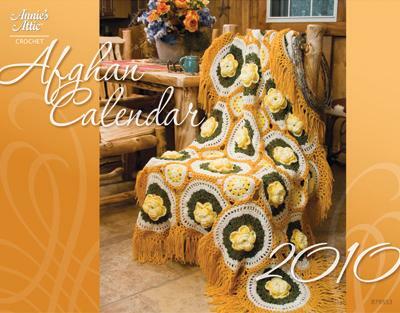 Each of the 12 afghan designs will keep you crocheting throughout the year. to find an afghan that you will enjoy! Pick up your 2010 Afghan Calendar today from AnniesAttic.com! Twitter posts which can range from cool free patterns to words of wisdom. There’s a “GPS” device to help you keep track of your children. G stands for Geography... know where your kids are going. 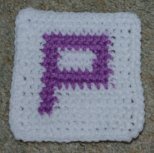 P stands for People... know who they will be spending time with. and exactly when they’re expected to be home. Know your child’s G.P.S. at all times. This link was sent to me by my online friend, Lois Karklus! I would like to crochet baby headbands but having touble finding good directions. i'm not the best crocheter so the easier the better. do you have a "recipe" for such a thing? I need OWL HAT patterns! I'm looking for an owl hat pattern or a pattern for an owl that I can sew on to a hat or sweater. Establish my footsteps in Thy word; And do not let any iniquity have dominion over me. It is for discipline that you endure; God deals with you as with sons; for what son is there whom his father does not discipline? But if you are without discipline, of which all have become partakers, then you are illegitimate children and not sons. Furthermore, we had earthly fathers to discipline us, and we respected them; shall we not much rather be subject to the Father of spirits, and live? For they disciplined us for a short time as seemed best to them, but He disciplines us for our good, that we may share His holiness. All discipline for the moment seems not to be joyful, but sorrowful, yet to those who have been trained by it, afterwards it yields the peaceful fruit of righteousness. Therefore, strengthen the hands that are weak and the knees that are feeble, and make straight paths for your feet, so that the limb which is lame may not be put out of joint, but rather be healed. CHILDREN, obey your parents in the Lord, for this is right. HONOR YOUR FATHER AND MOTHER (which is the first commandment with a promise), THAT IT MAY BE WELL WITH YOU, AND THAT YOU MAY LIVE LONG ON THE EARTH. And, fathers, do not provoke your children to anger; but bring them up in the discipline and instruction of the Lord. CAN LEAVE A CHILD IS A GODLY EXAMPLE." but on every _____ that proceeds out of the mouth of God." What does it mean to work into the "row below"? The last row you just finished crocheting is referred to as the "previous row". The row before that is considered the "row below". 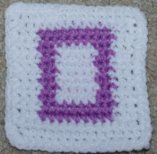 Some crochet patterns ask you to place stitches into the "row below". Some may say to work a stitch "two rows below", "three rows below", etc. All this means is you work into a row other than the row you just completed. An example of this method is the Spike Stitch. When you purchase yarn for a project it is best to check the dye lot number. Many yarns are "no dye lot" yarns. You may not notice a color difference during your purchase but could later see variances in the color of these yarns once your project has begun. Be sure to purchase all of the skeins needed of each color from the same dye lot so you don't have a problem with your colors varying. The only time the dye lot doesn't matter is if one yarn color is separated by another color such as a striped pattern. Comments: This is a great site. I just enjoy looking around sometimes. 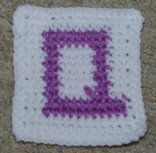 >>>My dictionary of crochet terms defined bl as block (solid mesh). 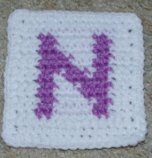 The term block is only used in filet crochet patterns. In this instance bl is back loop. The following is the pattern instruction in bold followed by an unabbreviated version to help explain the first rows of the pattern. >>R1: Ch1, sc in bl of each sc. Ch3. >>Working up the other side, sc in unworked loop of ea sc. Ch3, join with a sl st in the first sc. in the back loop of each single on that row. Then you chained 3 (this is the first "end chain space"). then you joined with a slip stitch in the first single crochet. >>(Towel Loop) Ch1, turn. Sc in ch3 sp. (ch1, turn, sc in sc just made) 10 times. >>ch3 sp and the last sc made (be careful not to twist). >>This forms the loop to hang the towel through. Join to the chain 3 on the opposite side by working a single crochet in the chain 3 space and the last single crochet made. Be careful not to twist... this forms the loop the towel will hang through. you skip the chain 3 spaces on each end. Then join with a sl st and you should have 28 doubles. R3: Ch3, do not turn. 2dc in ea dc. Join with a sl st.
For R3, do not turn. Now work two double crochet stitches in each double crochet stitch on R2. Join with a slip stitch. NOTE: You do not work into any of the stitches on the loop... only on the main part of the topper... imagine the loop isn't there and work around the entire edge of the previous round. There are treble crochet stitches on every row in this pattern. For Round one you chain 7, then work one treble crochet in the seventh chain from the hook. Chain 3 and join with a slip stitch in the third chain of the beginning chain seven. Repeat the instructions within the parentheses around the entire round. Join with a slip stitch in the fourth chain of the beginning chain 10. That means you work one slip stitch in the first chain one space. Just put the slip stitch into the hole beneath the next chain you made on the previous row/round. I bought mine in the craft section at Wal-Mart. and other craft stores would have them. This means you access the indicated stitch by taking your hook behind the petals of round 7.
first treble and double treble stitches on that round. Comments: I enjoyed your site very much... Easy to get around. Liked the Free Patterns. I am making this for a baby shower gift, but I have a question about the pattern. Rounds 2 and 3 say to join with slip stitch at the top of beginning chain 2. I don't see anywhere in the pattern that says to chain 2. Is that missing? I seem to have this problem with many of my "first designs". I have updated this pattern from memory. Please let me know how it works for you now. Where does the color Orchid come in? It's mentioned in the materials? Thank you for bringing this to my attention. I used another pattern as a template and failed to change that information. The pattern has since been corrected. Thanks again! Thanks Debbie: No... the toe isn't exactly attached. When the ribbons are added the booties are finished. Hi, I am a new begginer crocheter, and I am trying to make the Emma's Baby booties for my grandchild. I am having problems on the heel part. not sure where to reattach and don't know what bl's stand for. Bl stands for back loop. point on the opposite side of the bootie. You should have 19 singles when finished with Row 1.
but the pattern was in a purchased book (info on that page). work next st in your pattern. and that went well, so I will send you the next row of info, hope you can help me. That means is that you work the indicated stitch(es) into the hole beneath the next two chains you made on the previous row. [Yo and draw up a lp] 3 times all in the same st, yo and draw through all 7 lps on hook. One puff stitch might not be exactly like another as far as how many times you need to yarn over, etc., and that most patterns have specialty stitch instructions at the beginning or included in the actual text of the pattern, it would be best to try to contact the designer of that particular pattern. Hi, how do you make the ends stiff to put through holes? 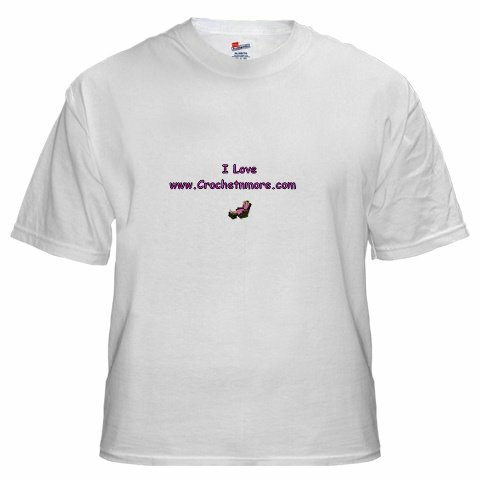 use a crochet hook to pull the strings through when lacing the shoes. I'm glad you enjoy it Sadie! Yes... it does. That was one of my first designs. I wasn't very good at evenly distributing a design throughout a pattern yet. Little Johnny's mother was having difficulty gulping down the birthday cake he had made for her as a surprise. When she was finished, Little Johnny happily exclaimed, "I'm so glad you like it, Mommy. There should have been 32 candles on the cake, but they were all gone when I took it out of the oven." - A passer-by told me there was a service station a half-mile away, so I took a gas can from the trunk and trudged the distance in the sweltering sun. - The attendant filled my two-gallon can, and I lugged it back and poured the gas into the tank. But when I tried to unlock the car door, it wouldn't open. Just then, I noticed an identical old car parked a short distance away. That was my car; I had filled a stranger's gas tank. - Wearily I walked back to the station. "You know," the atten- dant suggested helpfully, "instead of walking back and forth to fill the tank from the can, you could put a couple of gallons in the tank and then drive the car here." A man attempting to set up his new printer, had problems, and called the printer's tech support number. He complained about getting the error message: "Can't find the printer." On the phone, the man said he even held the printer up in front of the screen, but the computer still couldn't find it! During a phone conversation, my nephew mentioned that he was taking a psychology course at the university. "Oh, great," I said. "Now you'll be analyzing everyone in the family." "No, no," he replied. "I don't take abnormal psychology until next semester." A famous art collector is walking through the city when he notices a mangy cat lapping milk from a saucer in the doorway of a store. He does a double take. He knows that the saucer is extremely old and very valuable, so he walks casually into the store and offers to buy the cat for two dollars. Custom at Duquesne University dictated that if a professor was ten minutes late, class was canceled. One professor arrived early for a 9 a.m. lecture. He placed his hat on his desk, and went to the faculty room. Before he knew it, it was 9:10. By the time he got back to his classroom, it was empty. The following day, the professor arrived at 9 a.m. He was met by the sight of 28 hats on 28 desks -- and no students. Let’s go to a double feature. Can you loan me a dime for a phone call? Would you mind getting up and go change the TV channel? Can you loan me a quarter for a pack of cigarettes? Hey it’s ‘dollar night’ at the drive-in. "Don’t forget to put money in the parking meter. Gimmee! Gimmee! My Mom would answer "Gimmee died." Some Boy Scouts from the big city were on a camping trip for the first time. The mosquitoes were so fierce, the boys had to hide under their blankets to avoid being bitten. Then one of them saw some lightening bugs and said to his friend, "We might as well give up. Now they're coming after us with flashlights!"